As the Trump administration tightens the economic screws on Tehran, an interesting event took place at the National Press Club this week in Washington, D.C. The National Council of Resistance of Iran (NCRI) held an event highlighting forty years of Western governments perceived appeasement of the murderous regime in Iran and the predictable consequences of these actions. 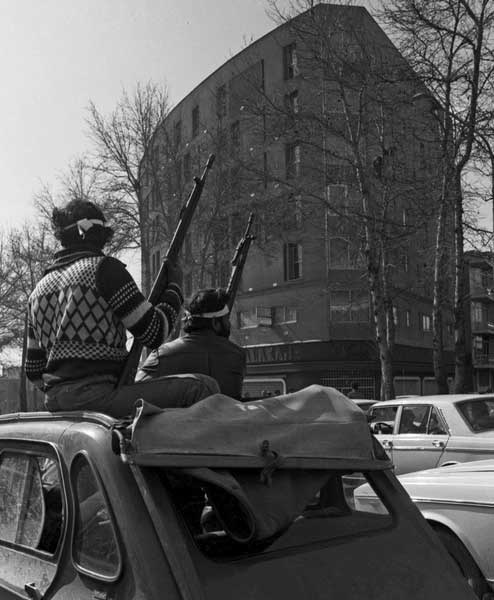 The NCRI is the overseas representatives of the People’s Mujahadeen of Iran, or PMOI/MEK, a resistance group born under the late Shah’s regime and which continues today to fight in-country for freedom for the people of Iran. The NCRI’s foreign affairs committee member, Ali Safavi, who was recently targeted by Iranian intelligence operatives who were arrested in the United States by the FBI, furthered the discussion by outlining in his view the waves of miscalculations American presidents have made in thinking they could somehow buy the Mullah’s entrance into the civilized world, only to taste the bitter consequences of increased terror and death in the Middle East.